Introduction: Horse armor has been used for more than three thousand years, but it was generally rarer than armor for man, being reserved mainly for the elite heavy cavalry and predominantly for battle. Horse in full armor were often confined to positions in the first ranks of a battle formation or to specialized units. Such heavy cavalry did not exclusively fight its similarly equipped counterpart, but was intended to engage infantry and light cavalry as well, especially mounted archers. Exceptions are found in medieval Europe, where social conventions infused with romantic notions of chivalry often favoured “mounted shock combat,” that is, a choreographed attack with couched lances, and thus repeatedly determined battlefield tactics until well into the sixteenth century. 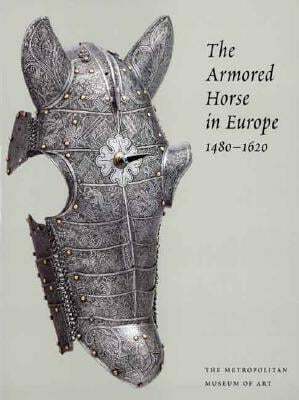 Horse armor was also prominently employed in tournaments, for princely ceremonial display, and occasionally for the hunt. The history of the development of horse armor generally paralleled that of armor for man, both employing the same materals (principally metal, leather, and textile) and decorative techniques. Horse armor evolved during the second millennium BC in the Near East and Egypt from protective coverings for chariot horses that were apparently made of textile or leather and sometimes reinforced with scales of metal or horn. By the ninth century BC, horsemanship, and with it the development of mounted warfare and protective horse equipment – including the first shaffrons – had spread to the West and Asia via Central Asia. Indeed, archaeological evidence suggests that the Massageto-Chorasmian peoples of Central Asia were the first to have developed a distinctive heavy cavalry by the sixth century BC: mounted warriors wearing mail or scale armor and presumably an iron helmet, while the head and flanks of their horses were protected by metal scales. Similar construction, either of downward overlapping scales secured to a supporting fabric, or of small metal plates overlapping upward and held together by leather lacing (a type known as lamellar armour), became the dominant form of horse armor throughout the ancient world, especially in the Near East. Panels of lamellar armor for the front of the horse are known from Greek and Iranian reliefs ranging in date from the second century BC, until at least the fifth century AD.